Whilst looking at the Michelin London guide for 2018/2019, I made a bet with BW as to how many of these restaurants would be halal/cater for halal. I estimated a tiny 7 whereas he guessed around 20. Pah, he must be dreaming, but I got cracking and decided to find out for myself the exact number of halal Michelin starred restaurants in London. 70 phone calls and emails later, I managed to put a list together for all the halal Michelin starred restaurants in London – phew. Not even 12 hours later, and I had received replies from them all. I was pleasantly surprised by the number of establishments that were able to cater for halal – I had guessed 7 and it turns out there are 23 ! The usual Indian restaurants like Gymkhana, Trishna, Amaya, etc. are a given, but many European places are happy to accommodate for us too with just a few days short notice. Now we just need a halal restaurant* to grab a star! *There is a difference between a halal restaurant and one that serves halal. A halal restaurant is one that tends to be run by a Muslim and serves all halal meats on their menu. 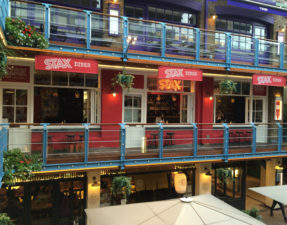 A restaurant that serves halal is an establishment that is usually owned by a non-muslim but can cater for halal – they usually have a partial halal menu. When one thinks of The Dorchester, you automatically think of the flashy cars parked outside. 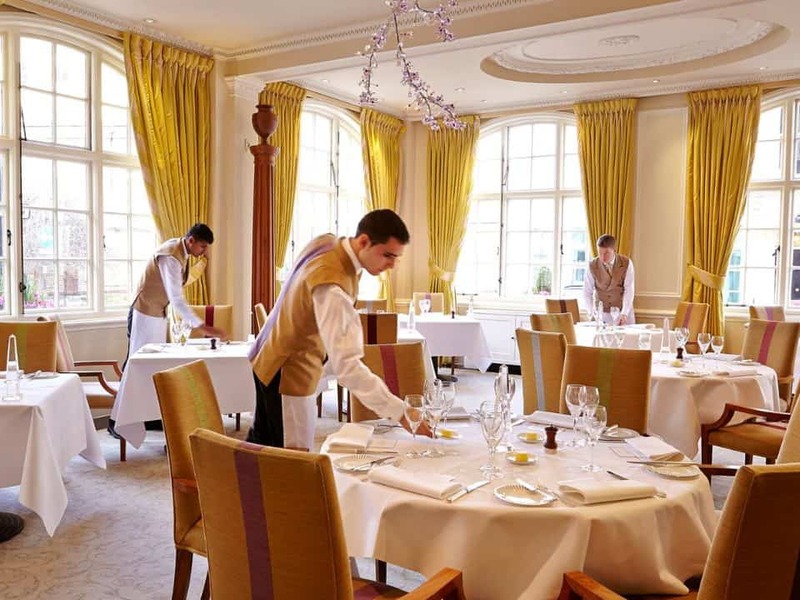 However, this Park Lane institute is home to a three Michelin-starred restaurant, Alain Ducasse at The Dorchester. 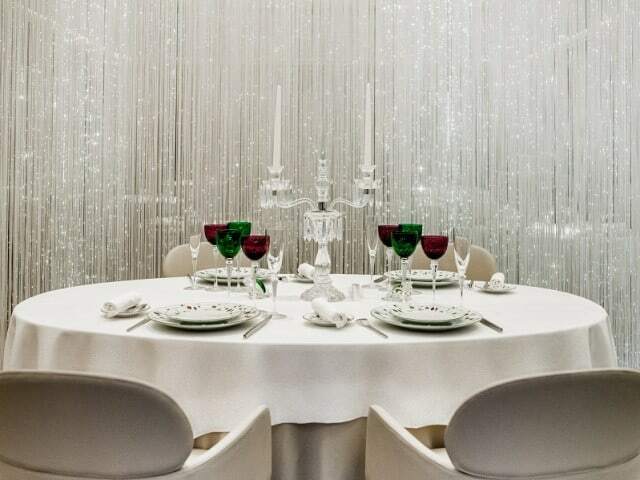 From the carefully curated French menu to the private dining area surrounded by shimmering fibre-optics, the restaurant is worthy of every star. Araki isn’t exactly what one would classify as halal as they do not serve any meat, but I’ve included this on the list as it is all seafood plus the only sushi restaurant in London with 3 stars! It also happens to be the most expensive Michelin starred restaurant in London costing a whopping £300 per person – certainly a once in a lifetime dinner. 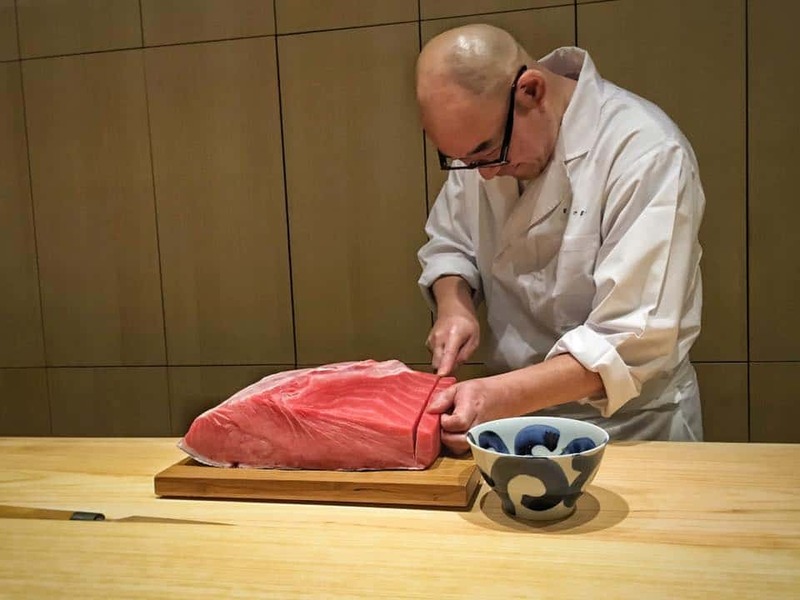 You won’t be able to order from the a la carte as the 9-seater Araki operates on a Omakase menu (“leave it up to you”) which is great as Mitsuhiro Araki, the Oyakata (sushi master), prepares it himself. You may have spotted Bibendum whilst out and about in Chelsea; it has the large stained glass window depicting the Michelin tyre man! 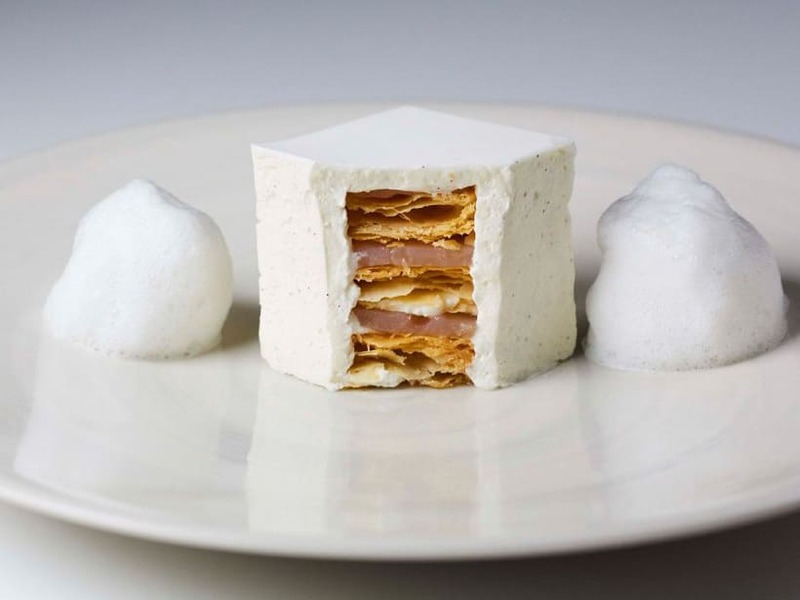 As of two years ago, it has been taken over by two Michelin-starred chef, Claude Bosi, from Hibiscus, who spruced up the menu with his innovative dishes such as egg shells filled with coconut foam, curry powder, and mushroom duxelles, and his “olive” amuse bouches. Address: 81 Fulham Road, SW3 6RD | Cuisine: French | Halal status: Halal chicken and lamb can be preordered when booking. 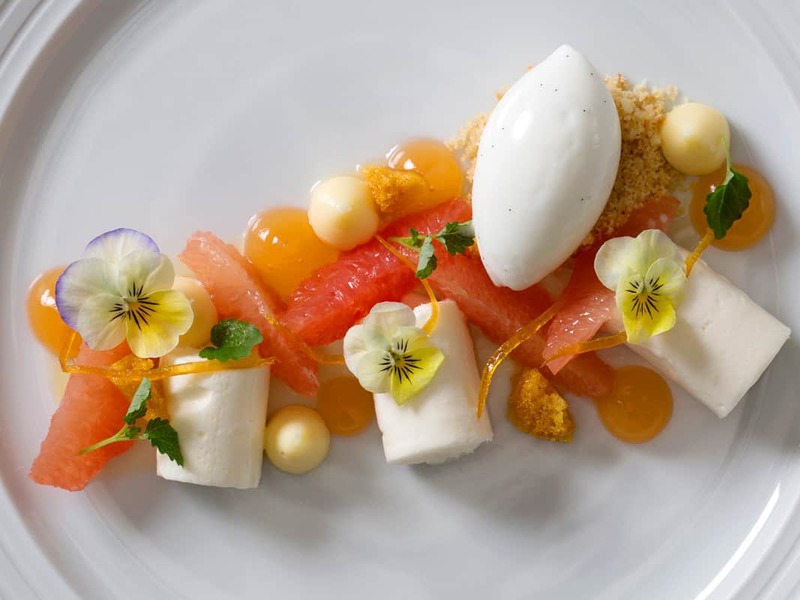 Having been awarded two stars in her Paris restaurant as well as the World’s Best Female Chef in 2015, it is unsurprising that Hélène Darroze’s London branch also holds two stars. Fun fact: Pixar’s Ratatouille movie based the character Colette on Hélène herself! 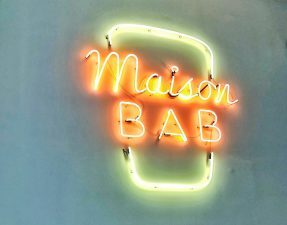 The menu is typically French and you can expect the service and restaurant itself to be very well polished. Address: The Connaught Hotel, Carlos Place, W1K 2AL | Cuisine: French | Halal status: Halal beef sirloin can be preordered 72 HOURS in advance. The Goring is the epitome of old school Britain, with the Queen even awarding it a Royal Warrant. The Dining room gained a star in 2016 with their contemporary take on British classics that didn’t scare off the regulars (the Royals are frequent visitors here), such as cheddar dumplings with a chestnut and thyme veloute, and warm eccles cake. Address: 5 Beeston Place, SW1W 0JW | Cuisine: British | Halal status: Halal chicken and lamb can be preordered 48 HOURS in advance. 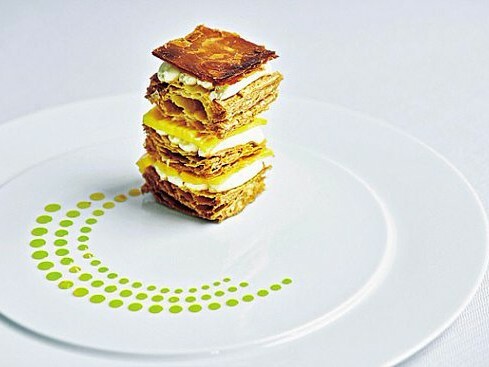 Quilon was amongst the first few Indian restaurants in London to nab a star in 2008, thanks to its creative Keralan menu. It is predominantly seafood based but there are plenty of meat and poultry options too. You’ll be able to play spot the MP over at Quilon as the restaurant is located right next to Parliament. Address: 41 Buckingham Gate, SW1E 6AF | Cuisine: Indian | Halal status: Chicken and lamb is halal. Perhaps this is the most James bond-esque of all the restaurants on this list; a multi-floor, glassed floor to ceiling venue situated on Piccadilly with iPad toting waiters and supposedly even a lift for your car! 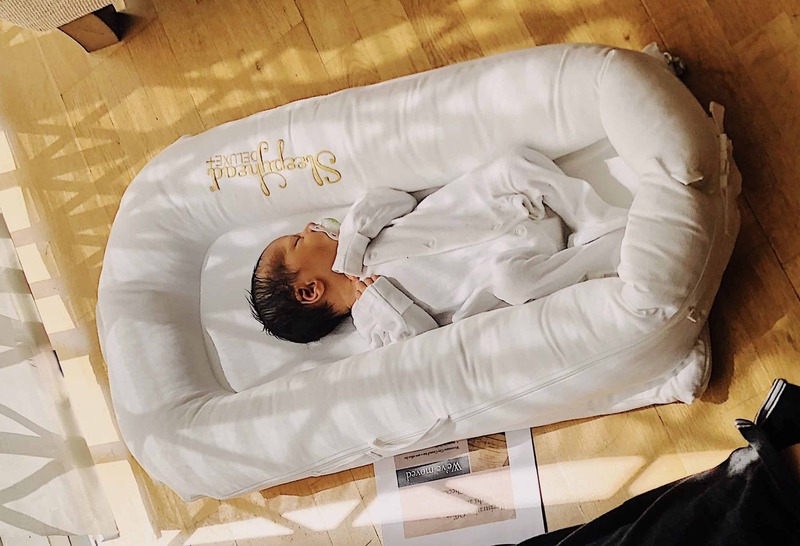 It was the hottest opening in 2018 and was associated with the truffled scrambled eggs on toast and birch sap croissant you saw all over Instagram. 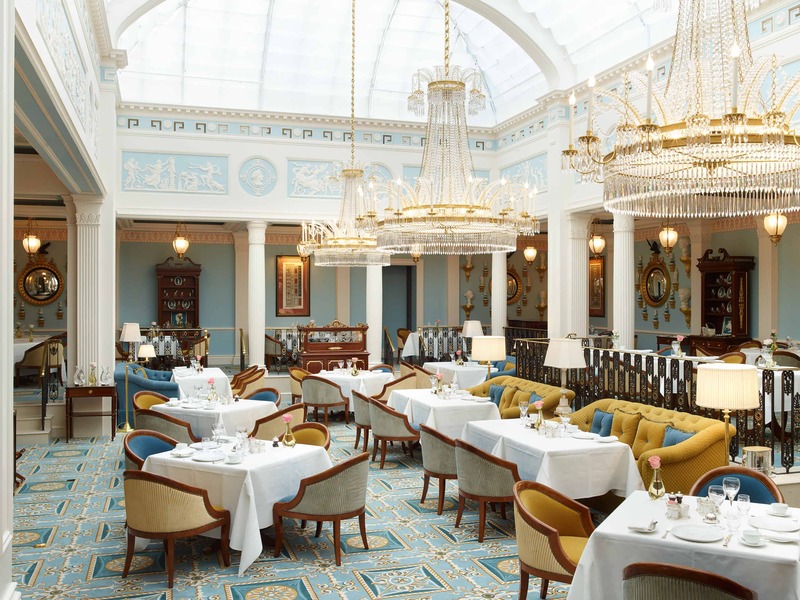 The Ritz is as quintessential British as you get and although it has been around since 1906, the restaurant only got a star in 2016. The dining room is nothing short of stunning, as expected, and the food is beyond spectacular with dover sole meunières, salt baked celeriacs, and souffles. With only 9 tables, Seven Park Place focuses on intimacy and privacy of their diners, giving the small number of guests their full attention. The gold, black, and dark wood decor is rich and luxe, fitting perfectly into its’ St James location. There are no fancy ingredients that you can’t pronounce over here, but more classic and uncomplicated dishes such as roasted monkfish or lamb saddle with garlic and thyme. Gymkhana belongs to the famous JKS group, who has seen success in every restaurant they have opened, Brigadiers, Hoppers, Berenjak, and more. 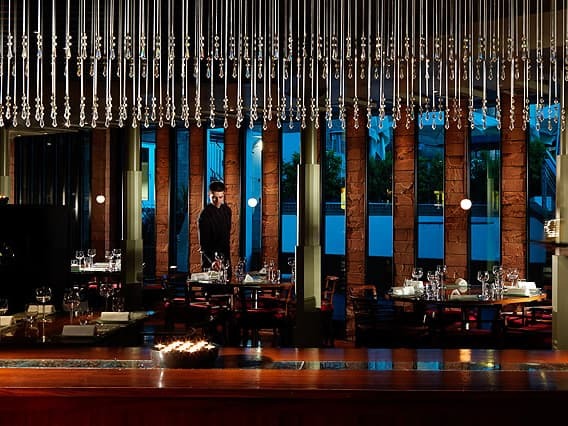 The venue is based on colonial India’s high society sports club, with its dark and polished wooden interiors. Their grills are outstandingly good and their goat brain keema is worth a try. 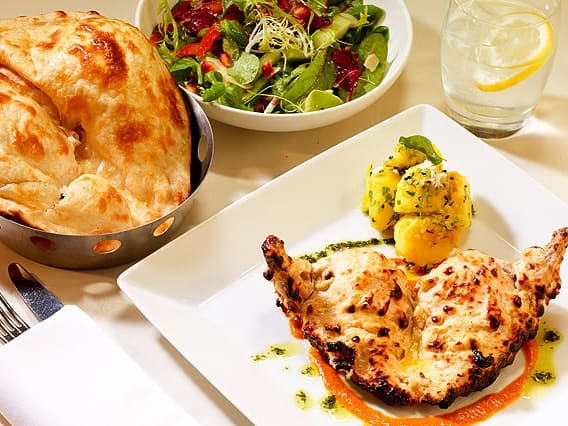 Address: 42 Albemarle Street, W1S 4JH | Cuisine: Indian | Halal status:Halal status: Chicken, lamb, and goat is halal. 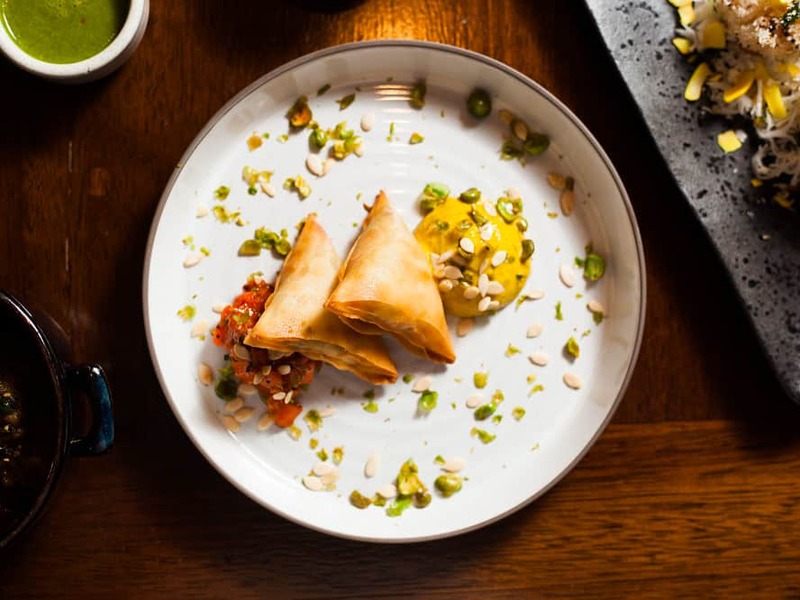 Although Amaya has been around for a while, they still stand out amongst the other fine-dining Indian establishments due to their theatrics and presentation of the dishes. 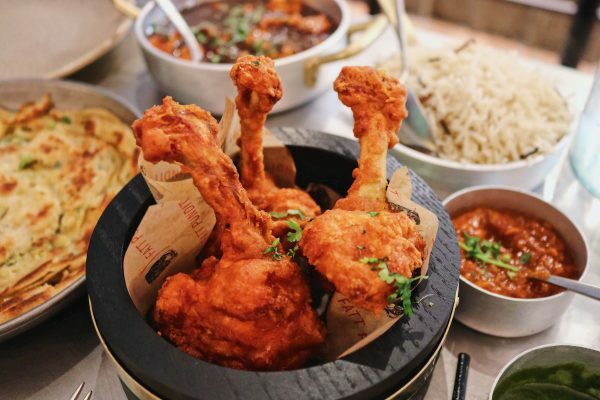 There are no poppadoms and curries in sight over here but instead Amaya specialise in their grilled goods – think chicken, lamb, and beetroot chops, etc. You can watch the staff work their magic on their grills and tandoors thanks to the open kitchen. 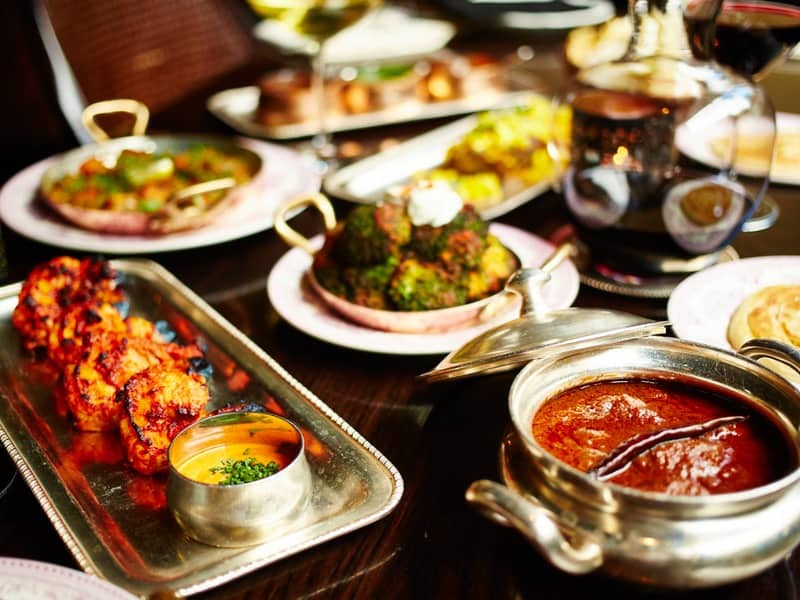 Address: 19 Motcomb Street, SW1X 8JT | Cuisine: Indian | Halal status: Select chicken and lamb dishes are halal. Last year, Benares was in the spotlight as their head chef caused a stir on Twitter regarding Muslims. 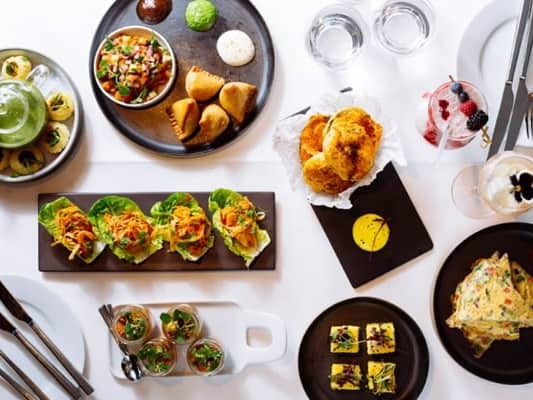 They parted company last summer but Benares have still managed to hold on to their well deserved Michelin star that they’ve had since 2007. 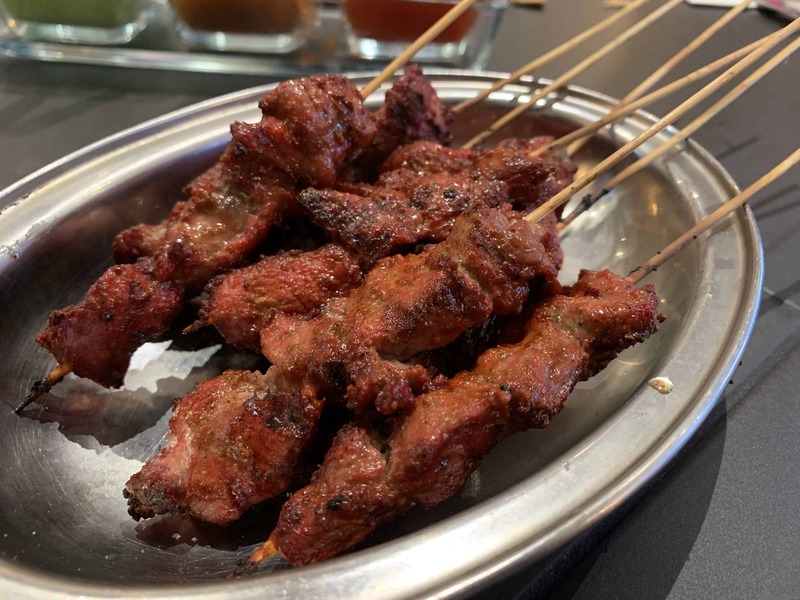 They are known for their excellent grills including the tandoori rattan – a selection of bite-sized sea-bass, chicken, prawn, and lamb pieces. Address: 12A Berkeley Square House, W1J 6B | Cuisine: Indian | Halal status: Chicken, beef, and lamb is halal. 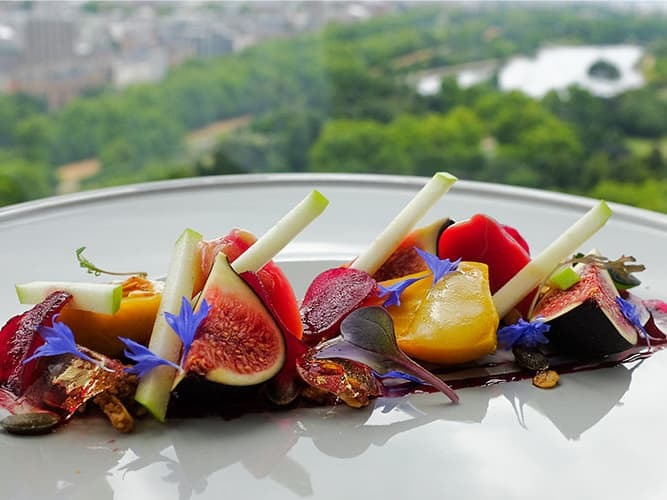 Run by the same group behind the three Michelin-starred Le Bristol in Paris, Celeste is naturally going to serve outstanding quality food at their beautiful restaurant found in The Lanesborough hotel. 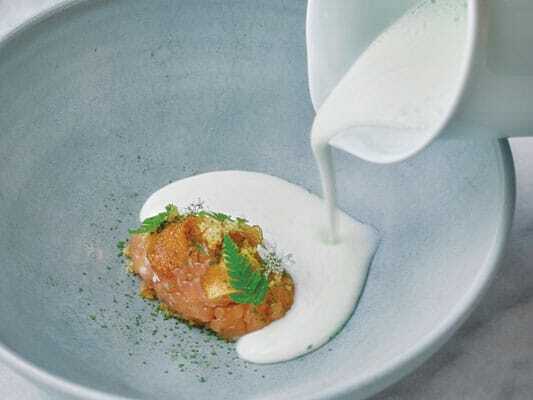 The food is mostly classic french with a nod to British heritage and you can find dishes like Cotsworld egg with blanched asparagus and caviar, but a few outliers like yellowfin sashimi with avocado and tiger milk. 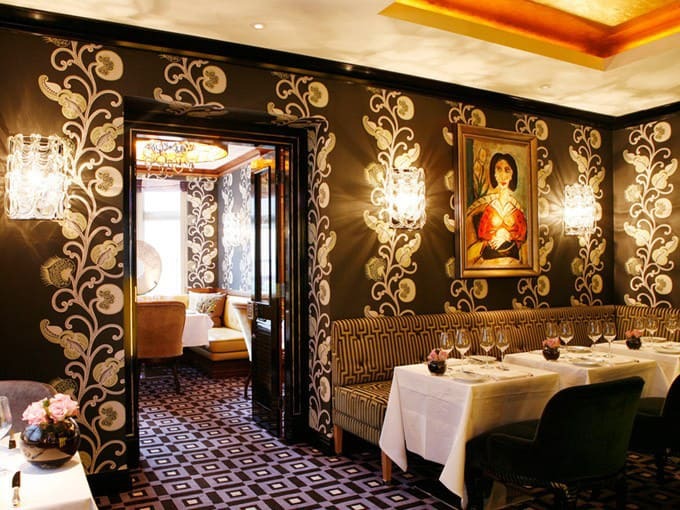 Address: The Lanesborough Hotel, Hyde Park Corner, SW1X 7TA | Cuisine: French | Halal status: Ribeye beef is halal. Halal meat can be preordered 48 hOURS in advance. 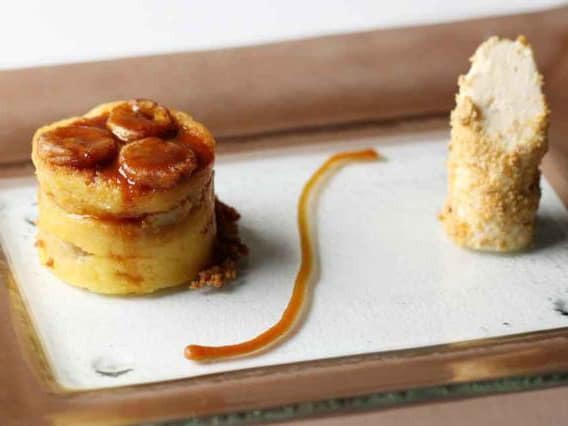 Galvin at Windows is known to boast the best views in London, from Buckingham palace to the City skyscrapers, making it the ideal venue for a date night or very special occasion. The modern French and Korean fusion menu has constantly wowed guests, think kimchi risotto with slow cooked egg and roast chicken with onion veloute. Galvin at Windows was also featured as part of my guide to halal restaurants with a view in London. Address: London Hilton Hotel, 22 Park Lane, W1K 1BE | Cuisine: French | Halal status: Halal chicken can be preordered ONE WEEK in advance. Whilst Kai is not the only Michelin-starred Chinese restaurant on the list, it is the only one to offer halal items on their menu! Expect more contemporary Chinese dishes at Kai, such as chicken with a Szechuan spicy crumble (Szechuan chicken) and wasabi prawns with basil seeds and mango. They even go as far to cleverly place desserts on the menu first before getting to food to make sure you keep enough space! Address: 65 South Audley Street, W1K 2QU | Cuisine: Chinese | Halal status: Chicken and lamb is halal. Veeraswamy is the oldest surviving Indian restaurant in the UK, having opened in 1926 by an Indian princess and son of an English army general. It was then acquired in 1996 by the group behind Amaya. The Gulab jamun is a must and has been there since the start. The raj kachodi is also very good. Address: 99 Regent Street, W1B 4RS | Cuisine: Indian | Halal status: Chicken and lamb is halal. 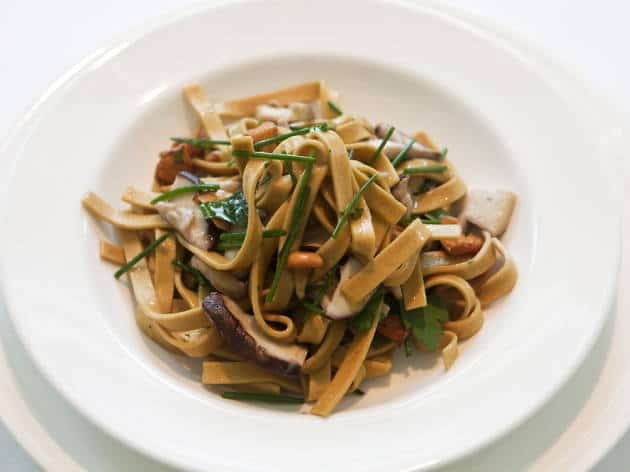 Locanda Locatelli, just behind Marble Arch, has been around for almost two decades and cooks up homely Italian staples using incredible quality ingredients. From the gnocchi with morel mushrooms to the lightly pan fried cod that melts in your mouth, the food is touted to be the best, albeit pricey, Italian in London. Address: 8 Seymour Street, W1H 7JZ | Cuisine: Italian | Halal status: Halal meat can be preordered 48 HOURS in advance. Trishna, the older sibling of Michelin-starred Gymkhana, is based on the coastal dishes of Southwest India. Although they are known for their outstanding seafood dishes – everyone raves about the Hariyali green chilli bream – their meat and vegetarian options are just as good, like the juicy tandoori chops and the paneer. 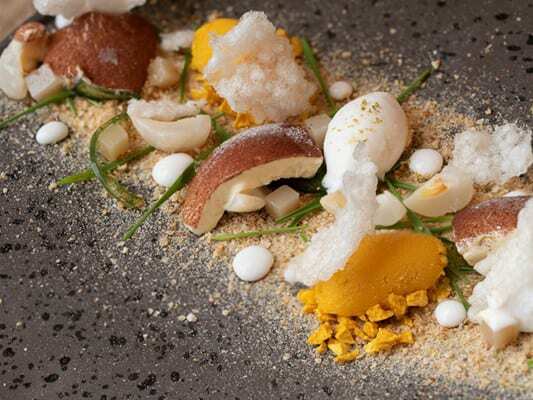 Do make the most of their tasting menus are great value for money. Address: 15-17 Blandford Street, W1U 3DG | Cuisine: Indian | Halal status: Chicken and lamb is halal. What started of as a supper club in an East London flat, Clove Club has now become a well-deserved Michelin starred restaurant in Shoreditch. They have also made it on to the World’s Best 50 Restaurants with a comfortable position at number 26. You can expect a modern British menu in a laid back and non-stuffy dining environment. The Galvin brothers appear again on this list with another venture, Galvin La Chapelle, but swapping the swanky hotel for a refurbished 19th century grade II listed chapel in Spitalfields. No wow factor has been lost as the surroundings are grand and ornate, making it perfect for any occasion. 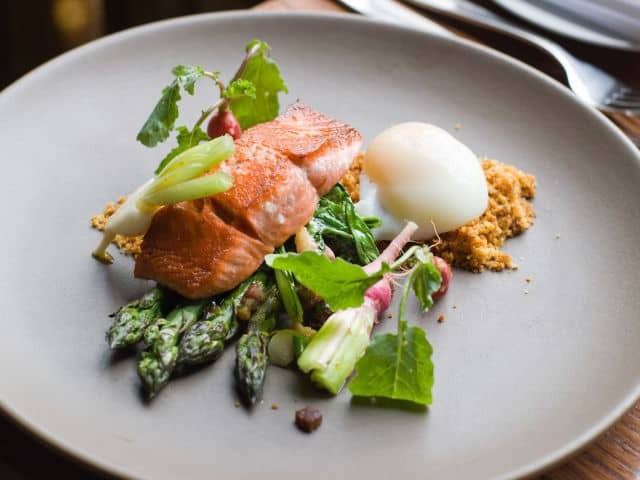 They serve classic French dishes as well as signature dishes, with the likes of Wye Valley asparagus with burrata & black olives, and Icelandic cod with grilled leeks and smoked cod roe. You can even opt for their Sunday roast complete with roast chicken, Yorkshire puddings, and all the trimmings. Address: 35 Spital Square, E1 6DY | Cuisine: French | Halal status: Halal chicken can be preordered when booking. When River Cafe first opened in 1987, it was intended to be a canteen as part of Roger Richard’s architecture firm, but his wife, Ruth, got involved in the kitchen and it is now one of London’s most iconic restaurants. 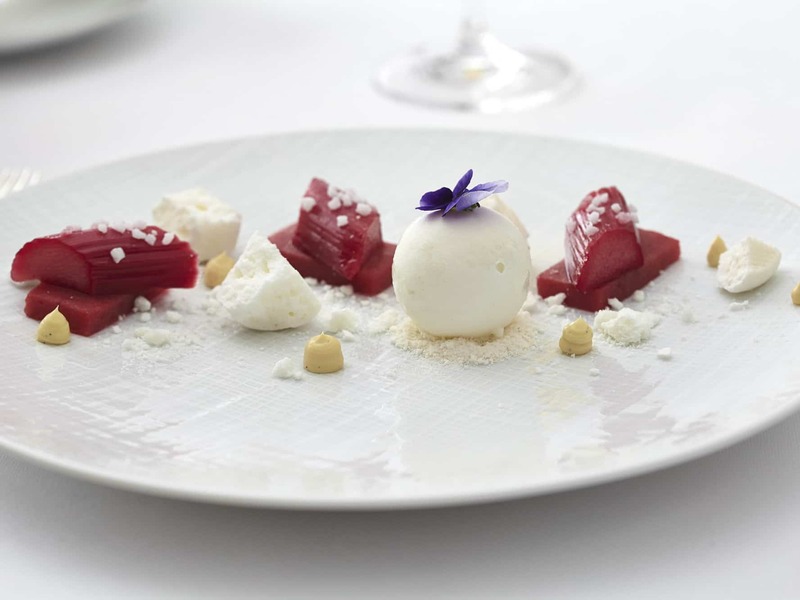 Serving up unfussy Italian dishes with a view over the river Thames has earned River Cafe it’s star. It is very pricey, but with summer coming up, it is great for al-fresco dining. Address: Thames Wharf, Rainville Road, W6 9HA | Cuisine: Italian | Halal status: Halal meat can be preordered when booking. 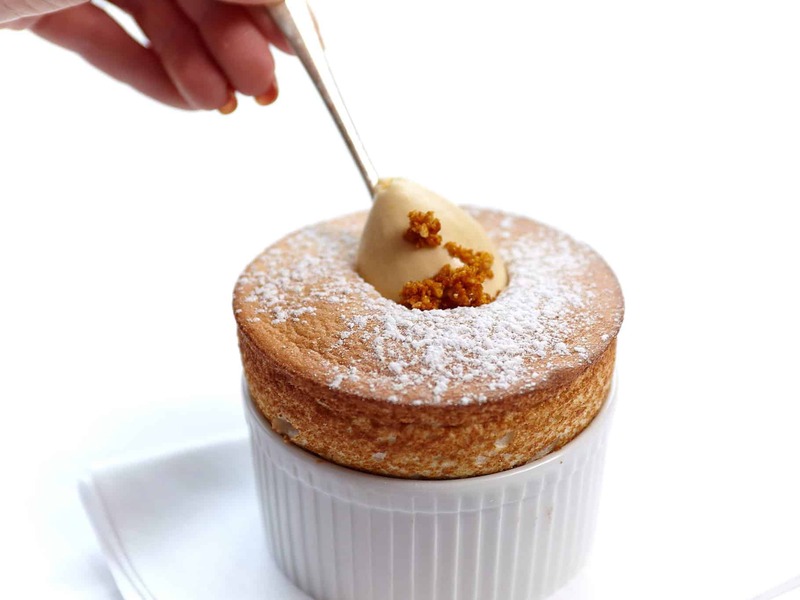 La Trompette has held their star since 2008, putting Chiswick on the Michelin map, and just by looking at their souffle, I can see why. 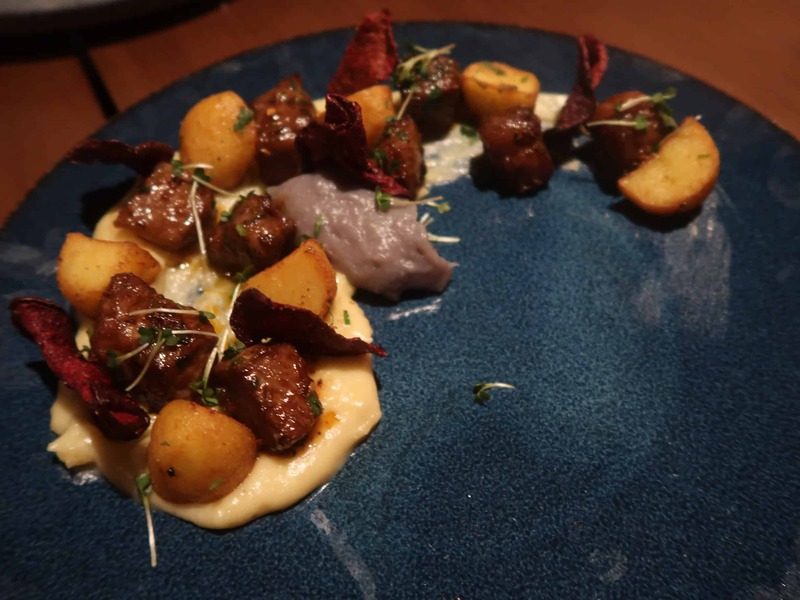 The hearty dishes focus on incorporating high quality ingredients rather than theatrics and the restaurant is cosy and intimate. Start with their salt baked beets and ricotta salad, the handrolled linguine for mains, and finish off with their classic souffle of the season. Address: 5-7 Devonshire Road, W4 2EU | Cuisine: | Halal status: Halal meat can be preordered when booking. Did Ledbury stop catering for halal? They definitely did 5 years ago!! Unfortunately they do not cater for halal anymore! They couldn’t find excellent quality halal meat that they were happy to use in the kitchen – quite sad really! Woohoo – glad to hear! 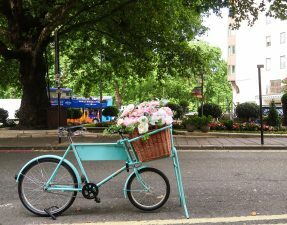 Because of your efforts , you hane made london – the halal gastronomical capital of the world and your culinary dissection and description of individual mouthwatering dishes of halal restaurants is WOW! Your choice of individual dishes and the photos of dishes is enough for me to dwell on the ambience of the restaurants. Keep it up -my LAILA – my favourite niece. Always look forward to your articles. You’ve made fine dining so available by doing all the hard work.